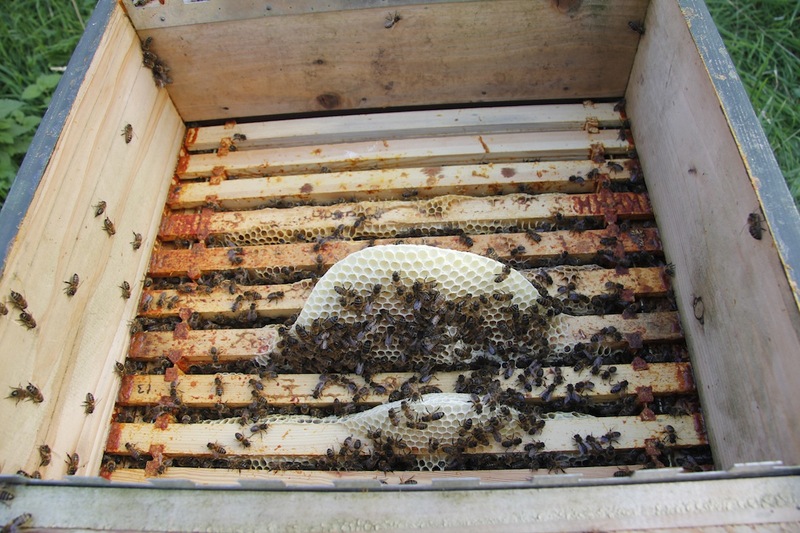 When I got home from holiday I checked out my hives as I wanted to give them a feed and this is what I found. 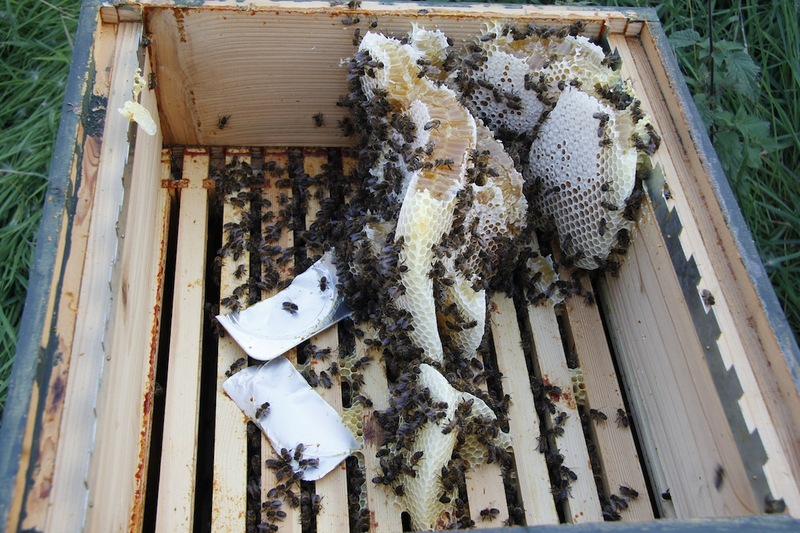 My bees had been as busy as ….. well bees. Because I only got a nucleus this year and because I split it in two to try and prevent a swarm (it didn’t work) I have only got two small hives. I didn’t therefore put supers on because they hadn’t finished drawing the foundation on the brood frames. 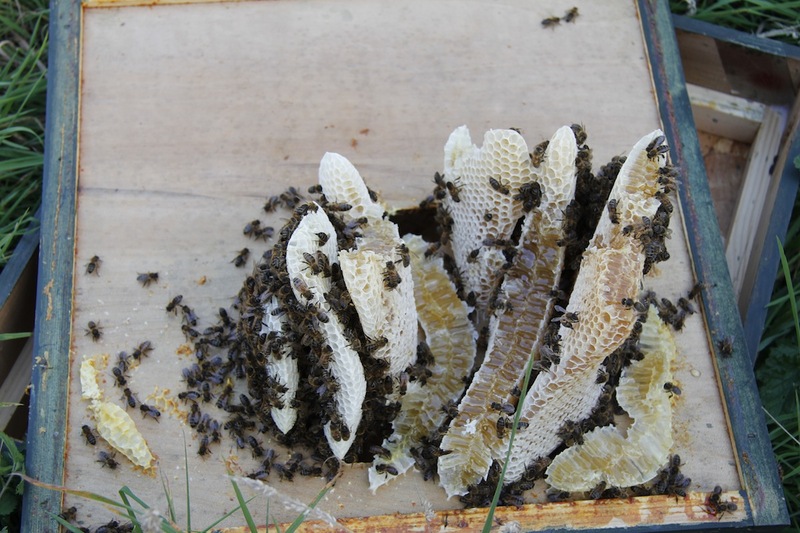 However it looks like in hive one at least they took matters into their own hands and built their own elaborate comb and then filled it with honey. As you can see from the above photo I treated my hives with Apiguard to prevent/limit the varroa mite. As I was a little late doing this I hadn’t fed them before I left for holiday. It turns out they didn’t really need an early feed probably because we have some much flowering heather behind our site and lots of flowering ivy around as well. 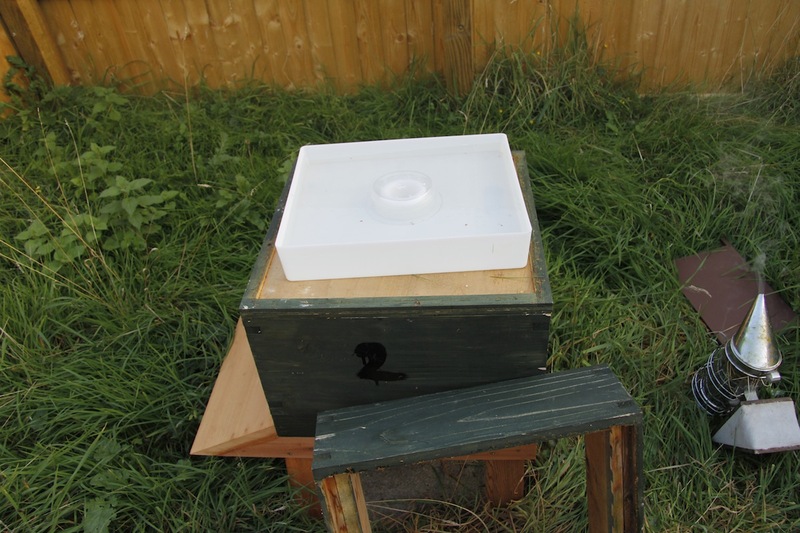 I didn’t want to break up the honey comb structure as it will serve as valuable stores for the bees this winter so I left it – who knows what trouble it will cause in the long run, but hopefully I will be OK. My main mission is just to try and help my bees make it through the winter. 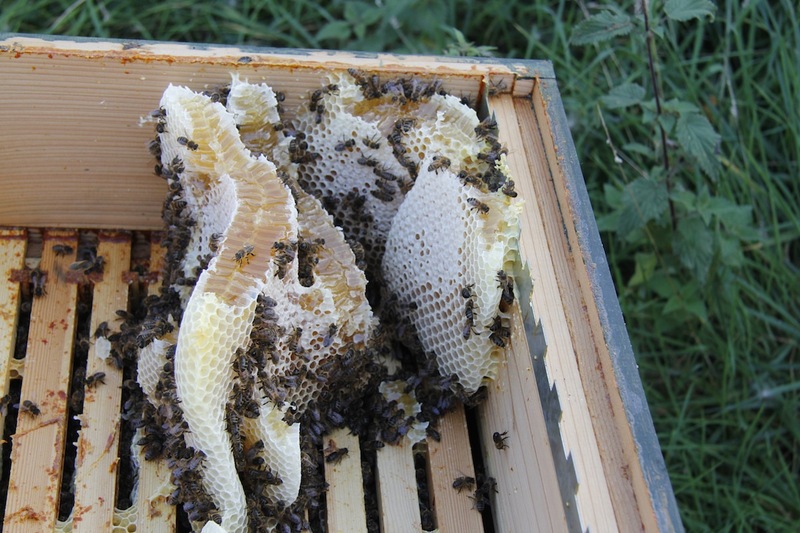 The second hive had a small amount of comb built upwards so I cut that off (and tasted the honey – yum yum). I then moved some of the undrawn brood frames to the middle of the hive to encourage them to draw them and use them instead. Again, I have no idea whether this will work, but James said he thought he remembered hearing it somewhere … so on that basis I proceeded! Lastly I gave them all a feed of special sugar water.